BASKETBALL SPOTLIGHT NEWS: Word On The Street: Shaq, Rio Rise and Flying Celtics! Word On The Street: Shaq, Rio Rise and Flying Celtics! In this addition of Word On The Street we venture into the high school level a little, show a superstar and present some team and big gun movement. Basketball Spotlight loves bringing you the news hot off the press. Shaq Shows Love For Armoni Sexton! 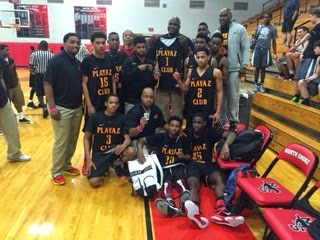 The Playaz Basketball Club high school teams traveled to Houston, Texas for the 3rd session of the EYBL. During this trip their 15 and under crew played against a team featuring the son of Shaquille O’Neal. After getting the win members of the Playaz organization talked to Shaq about what happened to Armoni Sexton and the future Hall Of Famer decided to take a team picture with the group while holding Sexton’s #1 jersey. Shout out to the Playaz and NJ born Shaquille O’Neal for a great moment. Team RIO Clapping High School Teams! It’s not unusual for 8th Grade teams to play up when the spring time roll around in preparation for high school next fall and to give college coaches an early glance at their young talent. But Team RIO National has not only played up but has been very successful thus far. 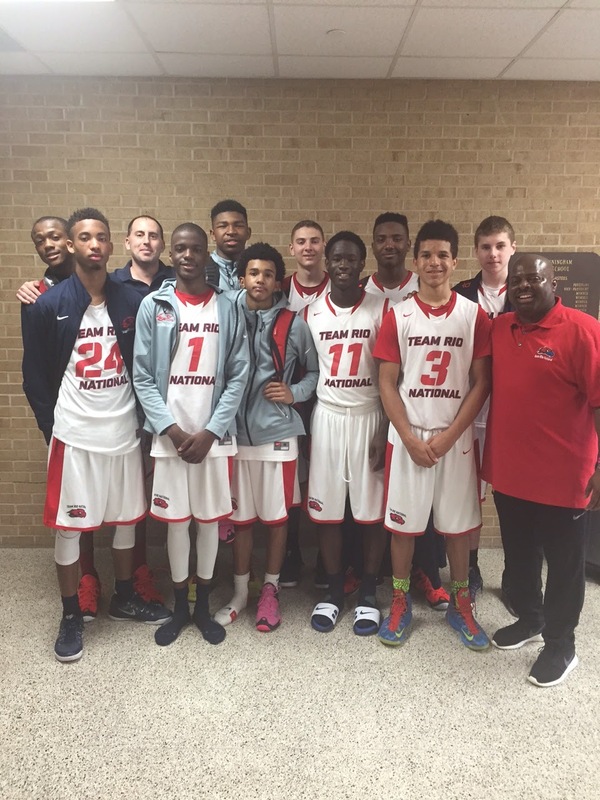 They started their quest at the Hoop Group Pitt Jam Fest going 4-1 before losing to Team Melo 16’s in the semifinals. Their next stop was Hoop Group Hoop Fest in Pennsylvania where they won the 15U Platinum division. Then finally this past weekend they entered the Nike 15U EYBL stop in Houston and went 4-0 while advancing to the semi-finals but had to leave early to catch a flight. This team is really shaping up to one of the best to ever come through this area. Metro Flyers Join Celtics Family! 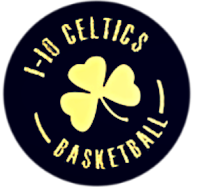 The I 10 Celtics recently came on the scene and already has caused waves. The California based group first expanded to the Midwest by scooping up one of the best 8th Grade Teams All Ohio Red. Now it seems they have invaded the East Coast by bringing in Northeast power Metro Flyers. Metro Flyers will be bringing some good talent to the table and will be attempting to plant the Celtic flag on the East Coast. Introducing the Metro Celtics. 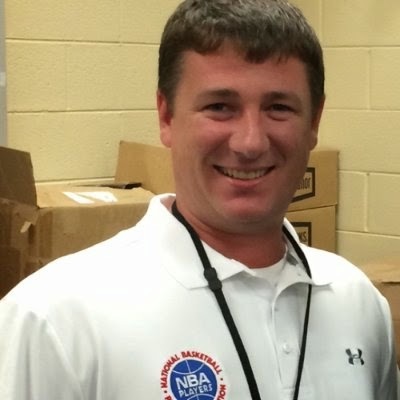 All you guys might especially those who attended the John Lucas Camp in Houston that Brian Merritt has decided to take an assistant coaches position at Arizona State University. Merritt was a major force in helping John Lucas Enterprise explode as a national brand. Through his hard work and determination he became a household name in the youth basketball world. We congratulate and wish Merritt good luck on the college level.